What Hazards are Lurking in your Home? If your home was built before the 1980s, and you’re thinking about renovating, you and your contractor will have to take special precautions to protect workers from harmful substances that could be present in the house during demolition. Read more in the latest issue of “Ottawa Renovates” magazine! Lindal Cedar Homes offers regular live and interactive webinars at no charge to participants. The next webinar is this coming Tuesday, April 14 at 8:00 p.m. Join us to explore Lindal’s stunning suite of modern designs! The link below will take you to the registration page. Sierra Gate Homes represents Turkel Designs in Eastern Ontario. Joel Turkel of Turkel Designs is hosting a webinar on Wednesday, April 1st at 8 p.m. He will be profiling Turkel’s Axiom series, a portfolio of sleek modern designs. Turkel moderns are absolutely stunning! You can register at the link below. And then please do contact us for more information! Modern architecture is a rapidly growing trend in today’s building industry. Residential construction is increasingly breaking away from more traditional and cookie cutter designs. Here in Ottawa, modern homes are popping up in neighbourhoods throughout the city. Sierra Gate Homes works with some of North America’s most renowned modern architects. As the authorized Lindal Cedar Homes representative for Eastern Ontario, we offer clients a portfolio of post and beam homes designed by architects such as Toronto’s Altius Architecture and Taliesen in Scottsdale, Arizona. Modern architecture strives to create home designs that go beyond mainstream ideas by pursuing projects inspired by layout, location and function. These designs are typically free of clutter and unnecessary elements. The architecture of a modern home focuses on the space itself – clean, functional and simple. Materials are shown in their natural form. Nothing is hidden or altered to look like something else. Floor plans feature open interiors with fewer walls, expansive living, dining and kitchen areas, often accented with a fireplace. Structural elements such as exposed beams are revealed to show the structure and supports. Strong linear elements and bold horizontal and vertical features are found in many modern designs. Beams, posts, cutouts, windows, staircases, fireplaces, rooflines and other structural elements assist the architect in creating linear-inspired space. Modern boasts straight and angled rather than curved lines. Modern architecture pushes the envelope on roof design. Homes are designed with multiple roof lines and different levels showing off the complexity of the overall design. Elongated vaulted ceilings, interesting overhangs and unusual linear elements are mixed to create a more unique statement. The house exists as more than simply a home – it is an artistic and sculptural statement. We invite you to visit our website to view some of the modern designs in our portfolio! 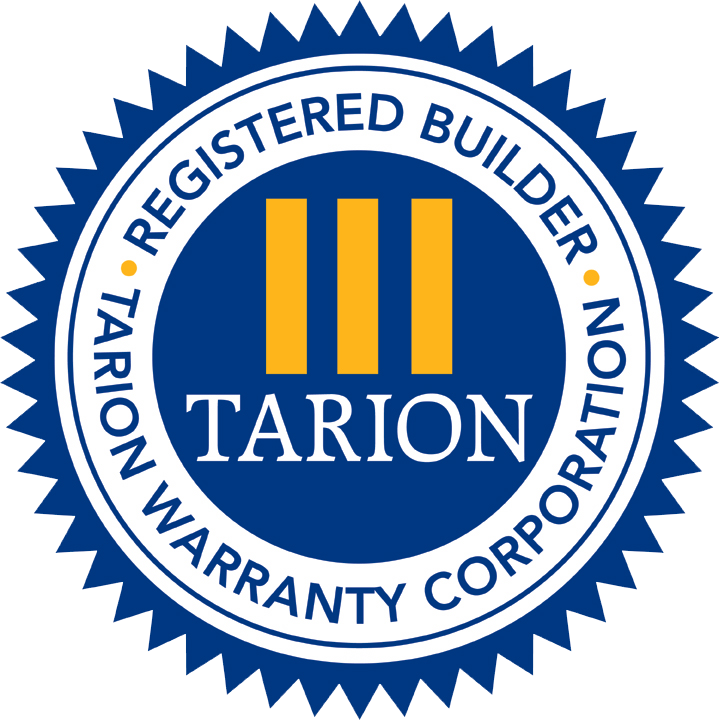 In support of Fraud Prevention Month, Tarion Warranty Corporation has launched an excellent new video aimed at raising awareness about illegal building. Illegal building impacts the reputation of the industry, and it can have profoundly negative consequences for new homeowners. Please do distribute the video at the link below to your contacts. Everyone should be educated about the pitfalls of illegal building!